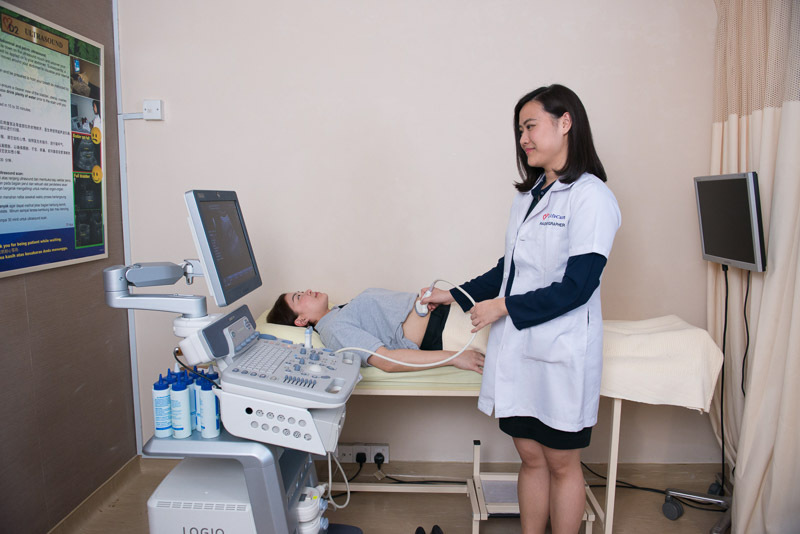 Ultrasound machine uses high frequency sound waves to produce images of the internal structures of the human body. The Abdomen and Pelvic Ultrasound scan is done to look at the internal organs, namely, the liver, spleen, gallbladder, pancreas, kidneys, bladder, the uterus and ovaries in a woman and the prostate in a man. How is an Abdomen And Pelvic Ultrasound scan done? You will be taken to an ultrasound suite which is dimly lit. You will have to lie down on the ultrasound couch and uncover your abdomen. Transparent gel is applied on your abdomen. 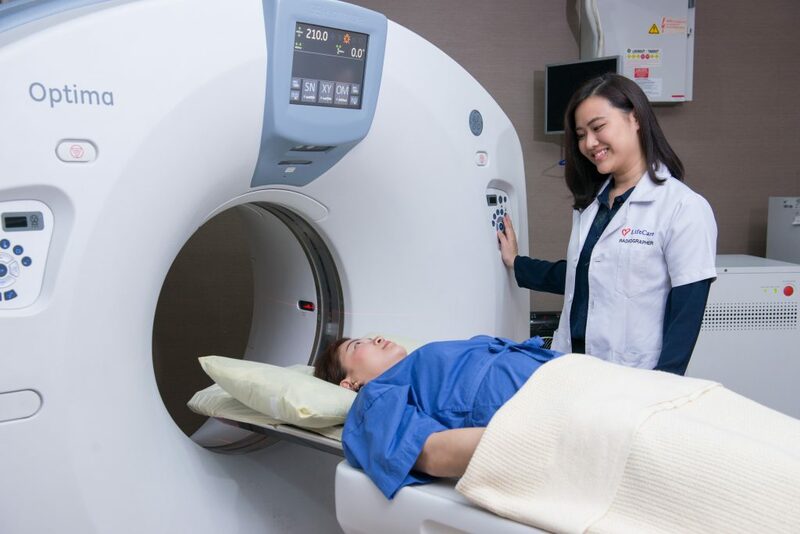 A transducer connected to the scanning machine is placed on your abdomen and moved around to see the respective organs. The transducer sends sound waves into your body. These sound waves bounce off an organ like an echo. The ‘echo’ is sent to a machine that records the results on film and on a computer. You will not hear or feel the high frequency sound waves. There may be slight discomfort from pressure as the radiologist guides the transducer over your abdomen. You will be asked to remain as still as you can and to hold your breath when the images are taken. How can I prepare for the Abdomen and Pelvic Ultrasound Scan? You need to fast for six hours prior to the scan. You will need to keep a full bladder for ultrasound of the pelvis. How long does an Abdomen and Pelvic Ultrasound Scan take? It will take about 15 – 30 minutes depending on the complexity of the scan. How long is an Abdomen and Pelvic Ultrasound scan? You may also be asked to remove hearing aids and removable dental work. You may be asked not to eat or drink anything for several hours beforehand, especially if a contrast material will be used in your exam. You should inform your physician of any medications you are taking and if you have any allergies, especially to contrast materials.